Awards/Recognition: Temple University Provost’s Scholar: A $10,000 annual scholarship plus one $4,000 educational enhancement stipend which is awarded to students with a high-school GPA greater than or equal to 3.6 and an SAT CR + MATH score of greater than or equal to 1360. Hootathon’s 2017 fundraising total benefitting Children’s Hospital of Philadelphia. The personal accomplishment I am most proud of is being the first student at Temple University to serve as a leader of HootaThon for all four years of their college career. Being able to play a key role in HootaThon’s transformation from its infancy to the fastest-growing program in the nation over the past four years has been an incredibly unique and rewarding experience. From choreographing and teaching HootaThon’s first-ever Morale Dance in 2013, establishing and developing HootaThon’s brand and marketing campaigns in 2014, overseeing the Directors of Hospital/Family Relations, Marketing/Public Relations, and Technology in 2015, and finally overseeing the Directors of Finance, Corporate Sponsorship, High School Dance Marathon, and Event Fundraising in 2017, I have been able to play a role in the development and management of almost all of the facets of this organization. HootaThon has given me an abundance of valuable leadership skills that I undoubtedly carry with me for the rest of my life. Though I had held leadership positions for other organizations in the past, the skills I have gained as a leader of HootaThon aren’t ones that can be gained from just any ordinary internship or organization. Because of HootaThon, I know I will be able to lead any team or plan any project/event that I am given successfully. I’ll never forget when just a few weeks into my freshman year I attended a group-interview for a coveted Temple Tour Guide position. In front of a group of one hundred candidates and hirers, I was supposed to stand in the front of the room and simply introduce myself and explain why I wanted to be a Temple Tour Guide. I’ll never forget standing up there, trembling, and completely botching what was supposed to be a simple 30-second greeting. Fast-forward 3 years later to HootaThon 2017, and I was able to proudly walk on stage, face our 1,000+ participants and present our 48 comma-club members to the crowd with confidence and ease. My communication skills, in fact, have improved across all methods. Through my experience overseeing groups of committee members as well as teams of Directors on our Executive Board, I have learned how to effectively lead and manage groups of diverse individuals. Because HootaThon has only been around for four years, I have also learned how to best react to changes and setbacks that could be thrown at me any time. I know how to think on my feet and how to face and handle challenges that I or my team might face. Most importantly, being a leader of Dance Marathon has taught me never to be complacent and to always reflect on how to improve. My answer may be unique, since I became involved in Dance Marathon before a Dance Marathon had ever occurred at my University. HootaThon became a part of my life on move-in day of my freshman year of college. As my roommates and I browsed all of the student organization info tables, a table with “HootaThon” written on a paper-board sign sparked my interest enough to approach the table. When the Director explained to me his visions for HootaThon, its specific beneficiary (The Child Life Department at Children’s Hospital of Philadelphia), and his plans for it to be held in just 3 short months, I was instantly sold. Dance Marathon combines my two goals in life, to live a life of service and to become a pediatric physician, into a perfect whole. Leading an organization that raises funds and awareness for my true passion in life has been an incredible experience that has confirmed my desire to change people’s lives for the better on the most fundamental level: their personal health. I participate in Dance Marathon because it has allowed me to realize the lasting impact that one can have on people, emotionally as well as physically, who are desperate for medical attention. 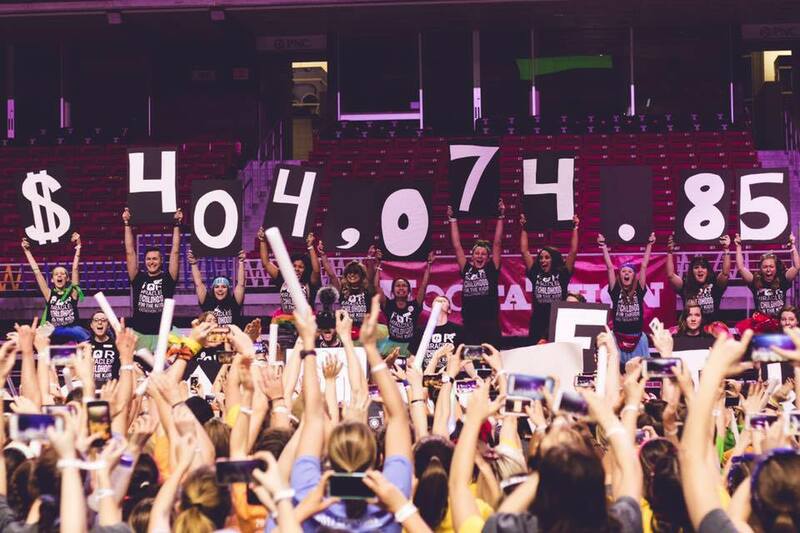 My involvement in Dance Marathon has confirmed my desire to leave such an impact, and to provide healthcare above any other type of social service. Students should get involved with their University’s Miracle Network Dance Marathon because there is no other organization that can provide students with such valuable and incredibly fulfilling experiences. The vision statement of Miracle Network Dance Marathon explains it best: We are this generation fighting for the next. Miracle Network Dance Marathon is a movement that all college students can proudly support, no matter their background, interests, hobbies, or career goals. Miracle Network Dance Marathon allows campuses to unite and support one goal: to help kids live better. Miracle Network Dance Marathon allows college students to help give kids the childhood they deserve, so they, too, can one day attend college and pursue their dreams. 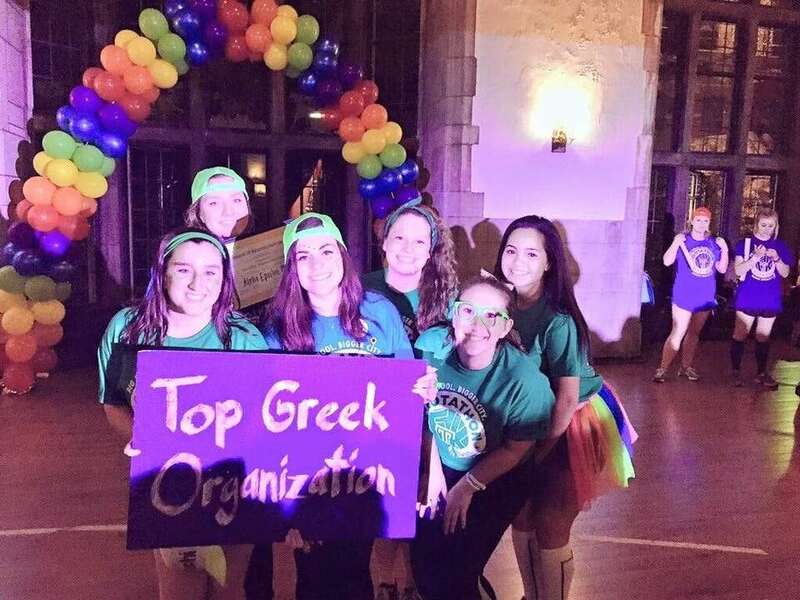 Read with Alpha Epsilon Phi sorority sisters at Hootathon’s Dance Marathon. People should donate to their local Children’s Miracle Network Hospitals because these hospitals provide care 24 hours per day, 365 days per year to kids in need no matter their condition. We are incredibly fortunate to have access to the care Children’s Miracle Network Hospitals provide, should we or our loved ones ever need it. Without donations, however, these hospitals would simply cease to exist. Children are the future, so it is our duty to ensure that all children have exceptional care. People should donate to their local Children’s Miracle Network Hospitals so that the 10 million children Children’s Miracle Network Hospitals treat can continue to have exceptional care and exceptional hope. 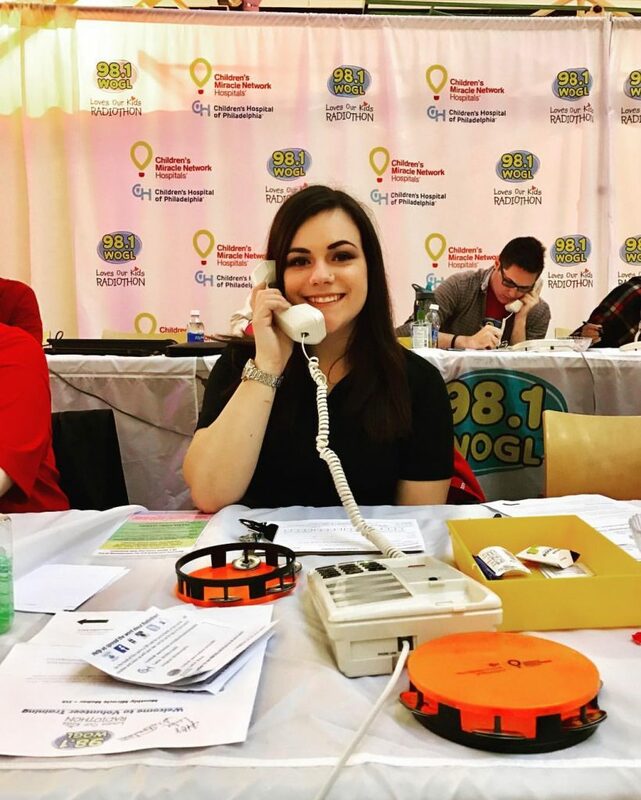 Read volunteering at a Radiothon benefitting Children’s Hospital of Philadelphia.